The hyperactive news startup Business Insider has a new owner. German publisher Axel Springer, which lost out to Japan's Nikkei in the race to buy the Financial Times two months ago, is paying $343 million for 88% of the online publication. Axel Springer already owned a stake of about 9%. Tuesday's deal values the eight-year-old Business Insider at $442 million, one of the highest sums ever for a standalone digital publisher. Amazon (AMZN) CEO Jeff Bezos, who invested in the startup several years ago, will retain a small stake. Bezos bought The Washington Post in 2013 for $250 million. Axel Springer is a publishing giant in Europe, with holdings including the tabloid Bild and the newspaper Die Welt. It has been on the hunt for online properties and has already invested in several, including Mic and Ozy. This is its first high-profile acquisition. On a conference call with reporters Tuesday morning, CEO Mathias Döpfner said the deal represents his company's "first big step into the English-speaking world." He indicated that Axel will help Business Insider expand into new areas of coverage and new locations around the world. For Döpfner, the deal is partly about gaining scale: Business Insider's self-reported 76 million unique monthly visitors will increase Axel's worldwide digital audience by two-thirds to about 200 million users. 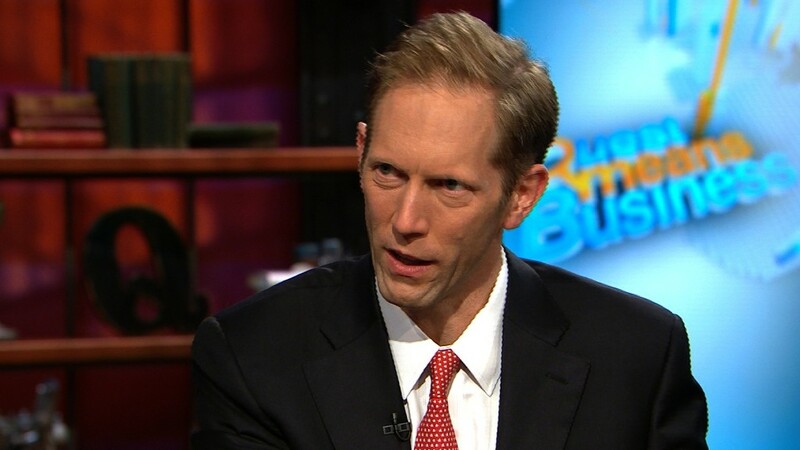 Döpfner said Henry Blodget, the founder, CEO and editor-in-chief of Business Insider, "has signed a very long-term commitment to remain invested and to remain active as CEO and editor-in-chief." Word of a possible acquisition by Axel Springer was first reported last week. Re/code said the deal would value Business Insider "at around $560 million." The price was ultimately much lower -- but still represents a huge payday for Blodget, the early employees and the investors at Business Insider. Blodget told reporters that the site "did not run a sale process," but instead was approached by Axel Springer, which made an initial investment in the site earlier this year. Business Insider has received about $56 million in venture capital funding over the years. The site has yet to turn a profit because, like many high-flying startups, it has plowed revenues into expansion plans. It primarily makes money through ads and sponsorships, but Blodget said Tuesday that its subscription business is becoming "increasingly important to us." By gaining more paying customers, he said, "We are going to be able to go much deeper into industry coverage." That path has also been followed by Politico, the Washington publication that partnered with Axel Springer to expand into Europe last year.